This week’s poetry pick is by Langston Hughes. He had a prominent influence on the Harlem Renaissance of the 1920’s. Hughes was different from other poets of the time because instead of writing poetry with hidden or obscure meanings, he wrote about the struggles and lives of African Americans. 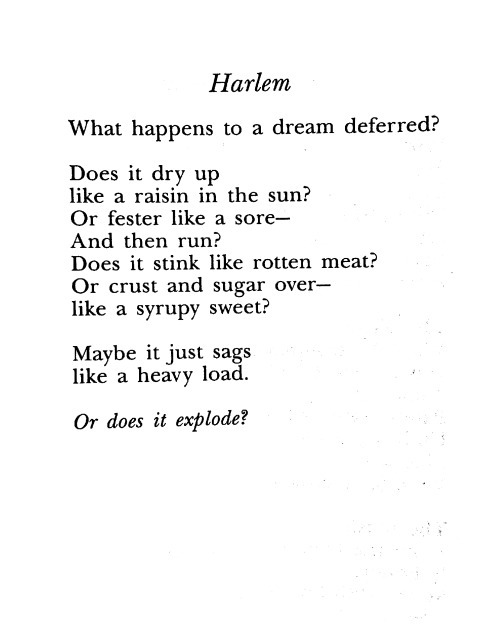 This poem is my favorite of his, ‘Harlem’.